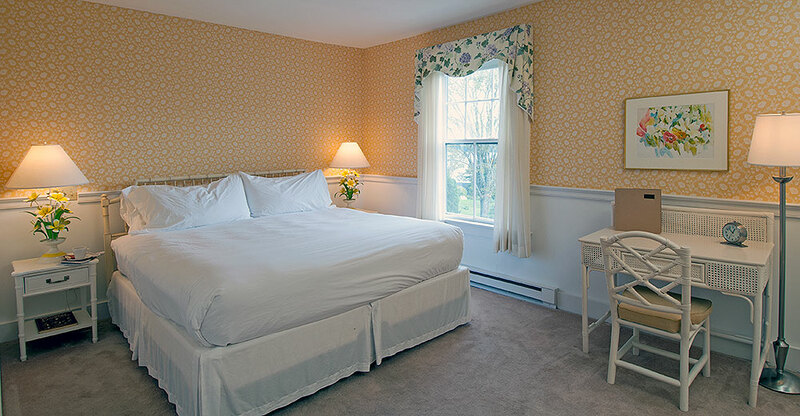 This gracious King room has glorious views of both the harbor and the renowned Castine Inn garden. 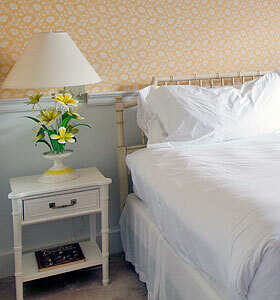 It is furnished with traditional Maine resort wicker furniture and a most comfortable couch. The bed is made up of Italian linens and a lofty duvet. Private bathroom with bathtub and shower.